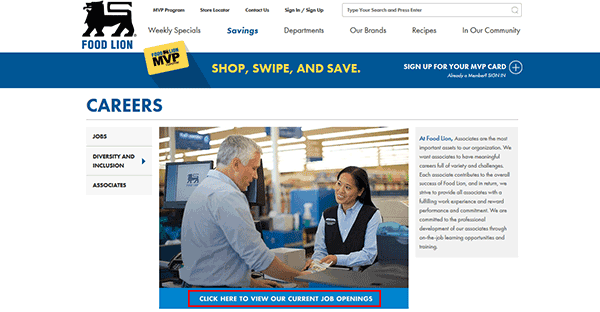 Search for jobs in your area via the links on this page. 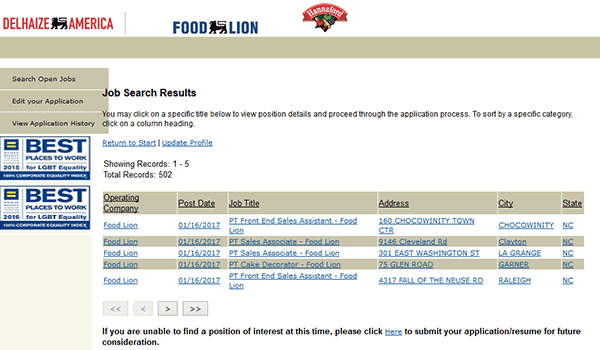 The instructions in the section below provide an overview of the Food lion job application process. Food Lion is a chain of supermarkets with more than 1,000 locations (spread throughout 10 states – mainly in the Mid Atlantic/Southern regions of the U.S.). 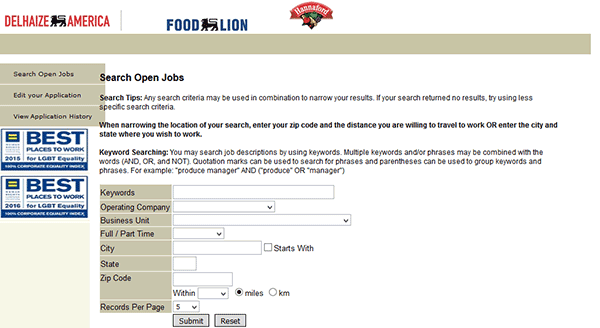 Step 1 – Search for a job by going to the careers page. 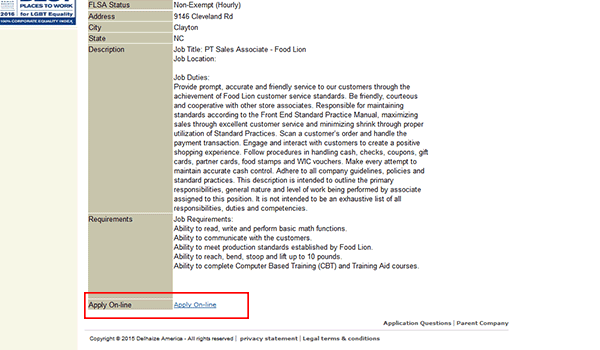 Step 2 – Press the “Click here to view current job openings” link. 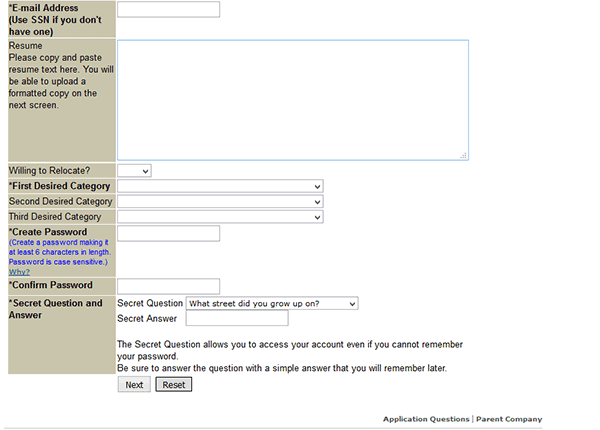 Step 5 – Review the description/requirements, and then click the “Apply online” button near the bottom of the page. Step 7 – Press the “Next” button to move on to the next section. Complete all of the required sections of application. You will be contacted to set up an interview time/date if your application meets the needs of the store(s) you’ve applied to.